Hiya! Today I'm bringing you a little hugs and kisses inspiration for Valentine's day! Can you believe it's only 10 days away?? For this project I used the new February mood board. Lookie at all the pretty colors! 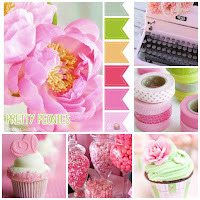 I about swooned when I saw the mood board! So many lovely colors to work with. I don't know about you but I'm tired of the wintery gray weather. I need some color! This totally fit the bill. 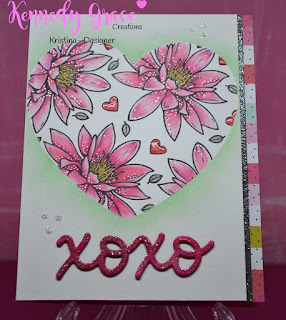 The Loving Mom stamp set steals the show on this card! I started by making a heart mask. I first used the negative piece of the mask to cover the entire card front. I stamped the main flower several times to fill up most of the space. 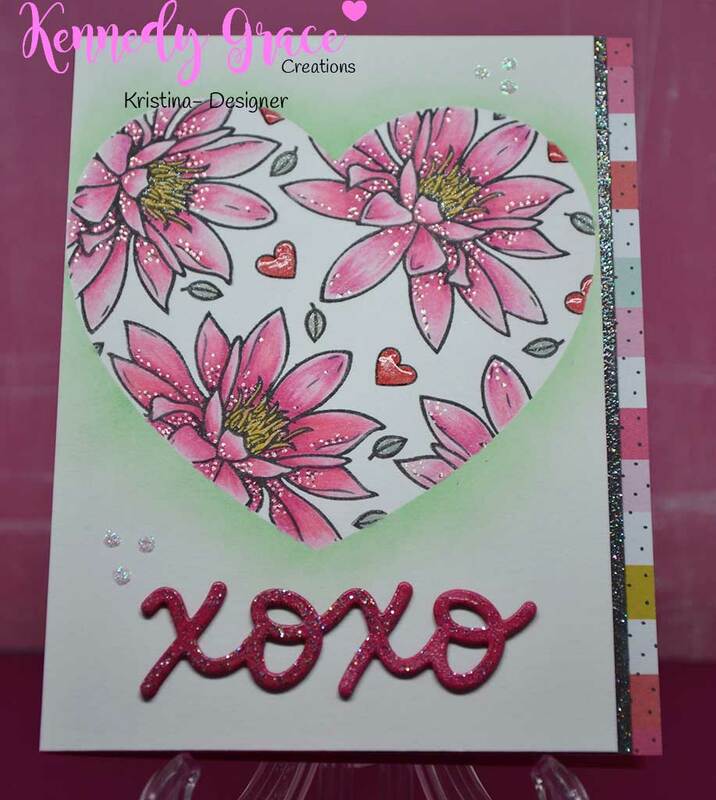 I used the very small leaf from the You Inspire Me set to fill in a little bit more space and finished up with a heart outline stamp. Next I peeled the mask off and carefully placed the positive heart mask. I took Cracked Pistachio distress oxide ink and sponged all along the edges of the mask. I started on the center of the mask and swiped out. I wanted to concentrate the ink right around the heart to help define the shape. Then you get to peel it off and see the magic left behind! Now I had to decide how I was going to color them. Since I hadn't used copic friendly paper I got out my Prismacolor colored pencils and gamasol. It's been a long time since I've used my gamasol! I used P1014, P929 and P930 to color the flowers and P924 for the leaves. Sadly I didn't write down which red I used for the hearts but I think it was Crimson red. I kept adding layers of color until I was happy and then went over all the parts with gamasol. I then went back and colored the flower centers and blended out with gamasol. I added Wink of Stella to the flower centers as well. Once all of the colors were blended out I thought it needed a little something more. I recently found my glitter Gelly Roll pen again. Perfect time to put it to good use. I covered the little black dots near the base of the flower leaves that are part of the stamped image. I also added more...because sparkle! Check out this view! It's hard to photograph all that lovely sparkle! I kept the rest of the card pretty simple. I found this lovely striped paper from Crate Paper and cut off a small piece for the edge. This was followed by a thin piece of dark gray cardstock that I used a glitter embossing powder and then the main card layer. The XOXO is die cut out of a pink cardstock using a die from Lawn Fawn. I cut four layers to stack together. The top layer I embossed with the same glitter embossing powder before I added it to the top. As the final touch I added some Crystal Stickles dots. Yet another item in my stash that hasn't been used in a while. I forgot just how pretty it is! I do hope you have enjoyed my card. 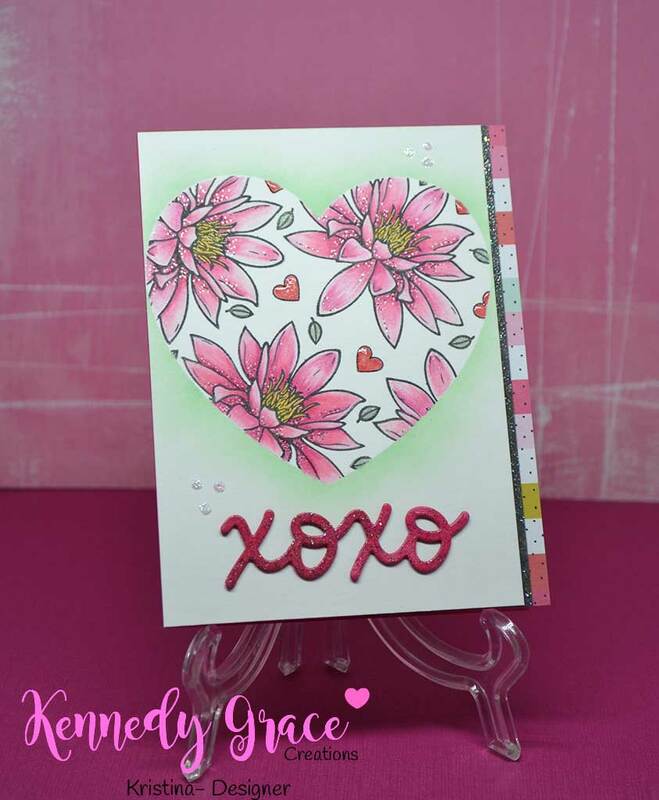 We hope to see your very own Kennedy Grace projects. See any of the links below!